Remember that project I was working on and trying to get done for a certain someone's birthday, when I sliced my finger?! 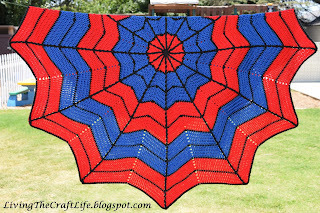 Well, I finally got it finished, but not on time. Too much happened and I didn't have enough days to get it done, since I could only put in an hour or so each day after he went to bed. Anyway, it's complete now and I'm excited to share with you the results! 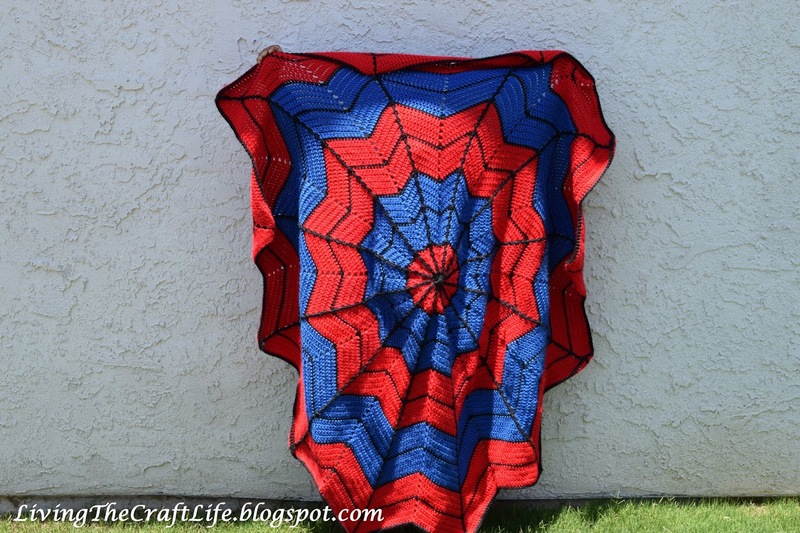 For my spiderman/color red obsessed son's 6th birthday I made him this awesome blanket! 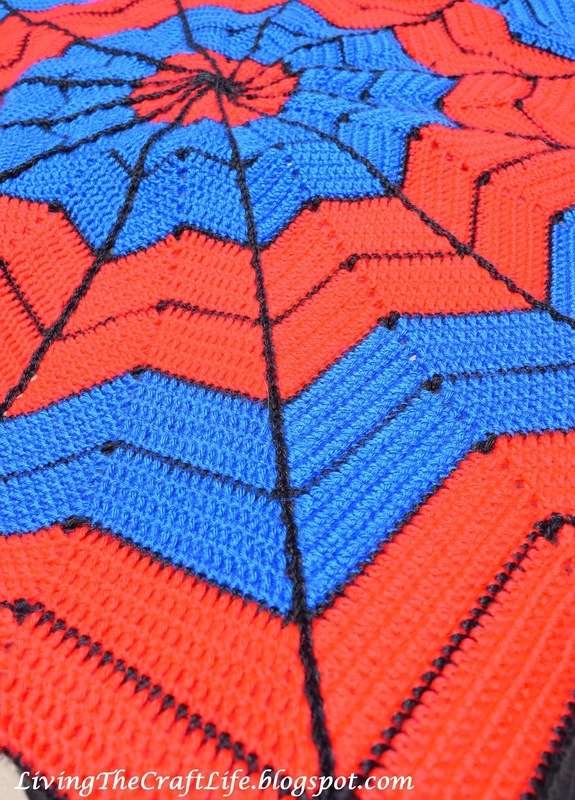 After the center circle, I used a pattern of 2 red then 2 blue stripes all separated by the black lines. 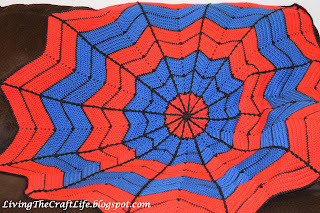 I also slightly altered the pattern for the web strings going into the center, I used a (sl st and ch 1) for the black rows and (sl st and ch 2) for all the other rows. I absolutely love the way it turned out, I'm very proud of how this project turned out! And, I must say, the little man approves!